Vlogging, or video blogging, has become a popular method of reviewing products and sharing information, perhaps even more so than its printed equivalent. With the spoken word and video being so much more immediate and interactive than static mediums like text and photographs, it is little wonder that many people turn to video reviews before anything else. Which camera do you use to make your YouTube videos? I must admit that this is a question I never thought we’d be asked, let alone write about on MirrorLessons. When we first began “vlogging” with some simple hands-on videos in 2013, we used the Lumix GH3 Mathieu had bought for his professional video work, because at the time it was one of the most advanced mirrorless cameras for video use. It had very nice Full HD quality, a mic input, a headphone jack, and a multi-angle LCD screen. However, no sooner did the GH4 arrive on the scene with its 4K capabilities than we scooped it up for both Mathieu’s work and our videos for MirrorLessons. Then, when we packed up and moved to Wales earlier this year, leaving our jobs in Italy behind, we found that we no longer needed a camera as large or as powerful as the GH4. It was at that time that we began using another camera in the Lumix line-up, the LX100. 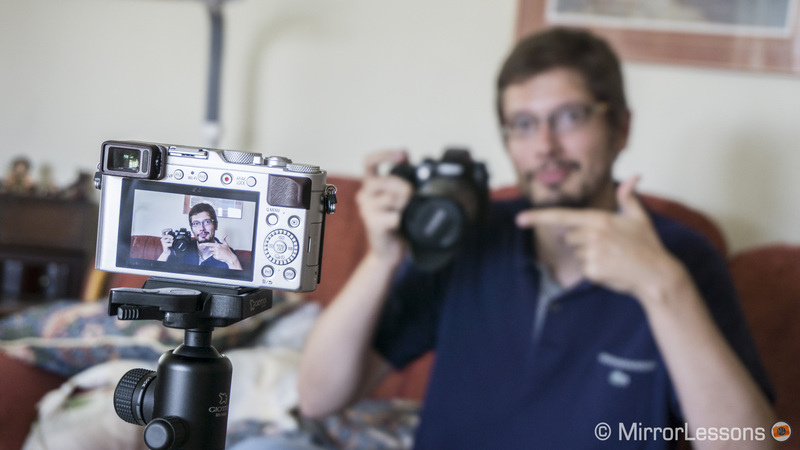 Unexpectedly, it became one of our favourite cameras for creating our hands-on videos. The LX100 is the first compact camera capable of shooting 4K from a sensor this large. It is as if Panasonic managed to squeeze the high-end GH4 into a camera that can easily fit inside your jacket pocket. It lacks some of the most advanced features on the GH4 but for vlogging purposes, you want to work fast and not have to deal with too much post-production or colour grading. The lower bitrate is not a big problem either because YouTube videos are compressed anyway. What’s great about 4K for vlogging isn’t so much the extremely high resolution itself, as many television and computer screens don’t currently support 4K, but the fact that it gives you a lot of flexibility in post-production if you conform your editing timeline to Full HD. Since 4K is four times the resolution of Full HD, you can crop the footage to make it look as if a second camera was used to film the sequence. This helps especially if you pause or make a mistake while talking (as we regularly do! ), as you can simply cut that moment and switch from 4K to an HD crop. You can see an example in one of our hands-on videos below. In our case, shooting our hands-on footage in 4K is also important because when we review 4K capable cameras like Panasonic or Sony cameras, we often include 4K footage from these cameras in the hands-on video. Since our viewers want to see the quality of the 4K footage, we have to make sure that the format in which we shoot the rest of the video is of the same quality. If we were to shoot the rest of the video in Full HD, the only choice would be to upscale it to match the size of the 4K footage, resulting in a loss in quality. As I mentioned above, the LX100 can be classified as a pocketable camera. Sure, it won’t fit inside a tight jean pocket, but you won’t have any trouble sliding it inside a jacket pocket or a small handbag. 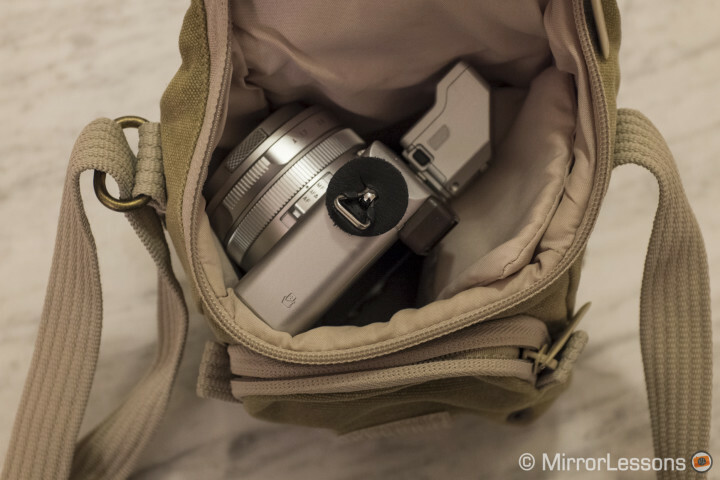 And on those days when you have a lot of gear to carry around anyway, the LX100 hardly adds to the weight or bulk. Lumix cameras are among the best when it comes to autofocus in video mode, not only in Single-AF mode but also Continuous AF. The LX100 inherits the DfD technology found on the GH4, as well as the G7 and GX8. While we often work in manual focus mode, it is always handy to be able to switch to Auto. At times, face detection can also be useful. When manually focusing, one of the things we love about Lumix camera is that they combine magnification and peaking at the same time without magnifying the entire screen. It is the best MF assist we’ve tried and is also very precise. An example of how the MF assist works on the GH4. It is the same on the LX100. Avoiding the extra bulk of interchangeable lenses is of great importance to us, as we already have to carry around a lot of gear when we attend press events. Since the LX100’s lens is a fixed zoom with a very fast constant aperture, optical stabilisation that works for video, and excellent macro capabilities, you don’t have to worry about switching between lenses to get the shots you need. What about a headshot in a poorly lit room? Zoom in, set the aperture to the widest value possible (1.7-2.8), and you’re good to go. Need a macro shot of a certain feature or product? Go to the widest angle and enable the macro AF setting on the lens. No matter what kind of shot you require for your video, the LX100 has got you covered. The entire hands-on video below was filmed with the LX100, from the scene with Mathieu talking, to the close-up shots of the various products. 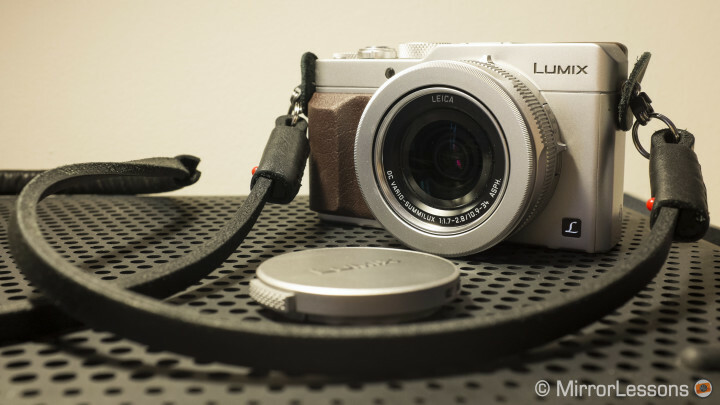 One of the defining characteristics of the LX100, and Lumix cameras in general, is its user friendliness. 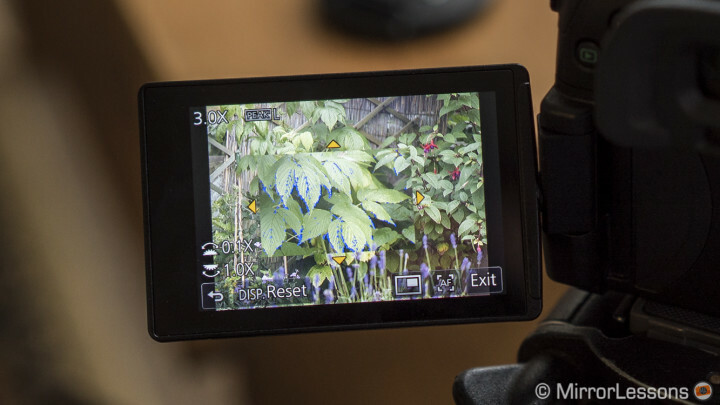 Even a complete beginner can switch the camera to intelligent Auto mode and start recording a video by pressing the red record button on the rear. 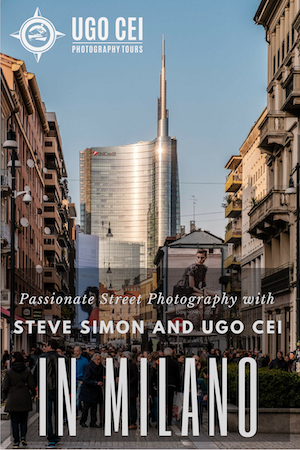 The menu is also one of the most straightforward of all mirrorless cameras. Despite being small, the LX100 has nice manual controls for shutter speed and aperture, and the focus ring and AF/MF/Macro switch on the side can really come in handy. The same can be said for the EVF when you are outdoors in bright light. There are two things the camera lacks that can be important for vlogging. The first is the lack of a tilting-screen which can be comfortable for video shooting. The second is the missing mic input/headphone jack. Regarding the latter, we found a cheap yet high quality solution – we pair our smartphones with the SmartLav+ from Rode. Since we always carry our smartphones with us anyway, we don’t need to carry an extra device. Plus, the SmartLav is very small, so it can’t easily be seen on camera. With the Rode app, you can record high quality audio files (16bit, 48kHz) and there are many settings you can adjust to make the recording even better. The only thing you need to remember is to clap your hands at the beginning of the recording to sync the audio and video in your editing software. (We use Premiere Pro). Of course if you are less comfortable with video editing and are looking for something that you can upload almost immediately, I can understand that this audio solution might be less appealing. Otherwise the LX100 doesn’t leave much to be desired. Sometimes the skin tones can take on a slight magenta tint but this is a common trait amongst Micro Four Thirds cameras, and can be avoided if you check the White Balance beforehand. Having showered so much praise on the Lumix LX100, you may wonder why we no longer use it for our video work. To answer this, I’ll simply reiterate what I said at the start: as gear reviewers, we constantly have to buy and sell to keep this website alive and running. In the case of the LX100, we recently traded it in for another more recent camera in the Lumix line-up, the GX8, whose video characteristics are nearly the same. However, it lacks a couple of features we really appreciated on the LX100, namely the very compact body and fixed zoom. If we didn’t have to continually exchange our old gear for the newest products, there is no question that the LX100 would be our camera of choice. It was the perfect companion for press events, camera demonstrations, photography shows, and anywhere else we ended up making a video to share on our YouTube channel, and for the foreseeable future, it will remain one of our favourite cameras for portable video shooting. Want to know more about the LX100? You can check out the following articles we’ve written about the camera below! 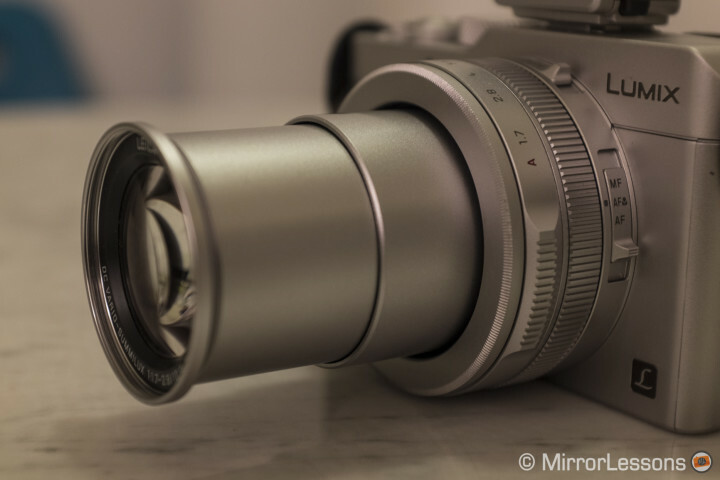 Panasonic LX100 vs. Fujifilm X100T – Compact, stylish and great performance: what more could you ask for?